Pain in the belly button or pain around the belly button may arise with various diseases. Usually it is caused by problems with the abdomen. The pain may come from the abdominal wall or from the organs within the abdominal cavity. Belly button pain can sometimes be serious and should always be investigated, especially if the pain is worsening or accompanied by other symptoms like nausea, vomiting, fever and dizziness. What is behind the belly button? The belly button, also referred to as the navel or by the medical term umbilicus, is the shallow hole on the wall of the abdomen. It is the site where the umbilical cord was attached during fetal life. 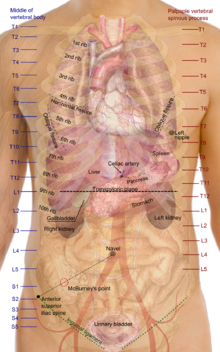 The area around the belly button is called the periumbilical region. Therefore pain in the belly button is known as umbilical pain while pain around the belly button is known as periumbilical pain. Like another part of the abdominal wall, there is skin, connective tissue, fat and muscle behind the belly button that we see on the surface. Any problems within these layers can cause belly button pain. There are also layers of membranes that may be attached to the inner abdominal wall and to the abdominal organs. This includes the peritoneum. Other layers of tissue known as the mesentery and omentum may also attache to organs like the bowels. It is important to note that pain in and around the belly button is not only caused by these organs. Sometimes pain may radiate from a neighboring region. Pain may also be referred to the belly button even though the cause is a short distance away. Always consult with a medical professional about umbilical pain. While most cases of abdominal pain are acute (short lived) and not serious, sometimes it can be due to life-threatening diseases or disorders. 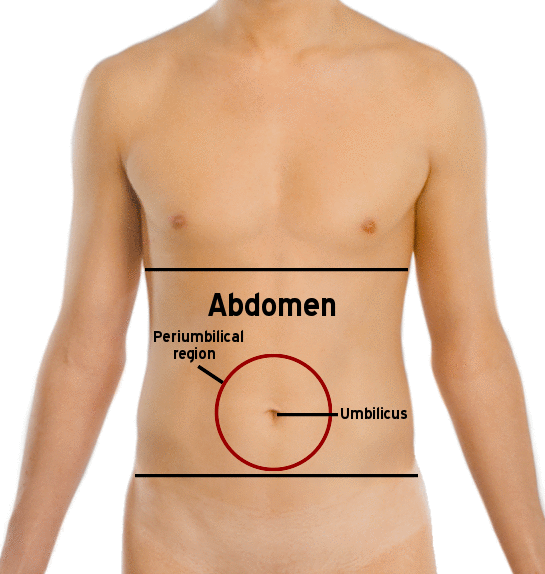 Belly button pain can also arise with disorders of of the umbilicus itself (1). The possible causes of belly button pain, including pain around the navel, have been discussed further under the different parts and organs of the abdomen. These causes may affect children and adults. However, more specific causes of belly button pain in children and pregnancy have been discussed separately. There are various causes of abdominal wall pain. Most of the time this is not serious. For example there are large sheets of muscle in the abdominal walls. These abdominal muscles, commonly referred to as the abs, are easily strained with physical activity. A blow to the center of the abdomen can also cause belly button pain by injuring the skin, muscles, connective tissue and fat in the abdominal wall. Another layer that may also cause belly button pain is problems with the peritoneum. It can become inflamed for various reasons which is known as peritonitis. However, a specific cause of pain in the belly button is an umbilical hernia. This is where a portion of the abdominal wall, specifically by the navel, is weakened and protrudes. A portion of the small intestine can become trapped in the small intestine (bowel strangulation) which can be life threatening. Although the stomach may not always extend to the area around the belly button, it can nevertheless cause belly button pain. Several stomach conditions may therefore cause pain around the belly button, usually in the upper part of this region. 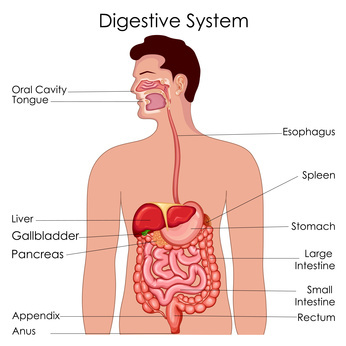 Stomach ulcers are one of the common causes. It may occur along with duodenal ulcers in the first part of the small intestine. However, umbilical pain due to stomach problems can also occur with less serious conditions. It can sometimes be seen with indigestion (non-ulcer dyspepsia) which is also referred to as an upset stomach. Often the pain around the belly button worsens almost immediately after eating if it is due to a stomach problem. Pain around the belly button may worsen after meals. Usually the pain aggravates a short while after eating compared to immediately after a meal as is seen in stomach conditions. Inflammatory bowel disease (IBD), both Crohn’s disease or ulcerative colitis. The pain is less likely to be related to eating but instead the pain tends to worsen or ease with bowel movements. Pain in and around the belly button can also occur with the various causes of constipation. This may in part be due to the bowels being congested with stool (feces). The appendix is a protrusion from the cecum of the large intestine. It can become inflamed which is known as appendicitis. This causes severe abdominal pain, usually in the lower right area of the abdomen. There may be tenderness between the umbilicus (navel) and the upper part of the hip. 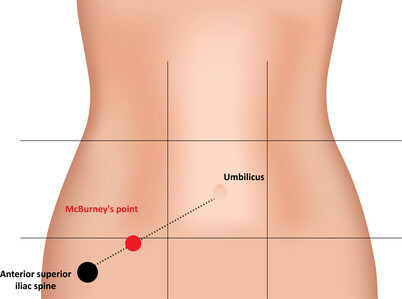 This typical spot where it is tender in appendicitis is known as McBurney’s point (picture below). Appendicitis is considered a medical emergency. There is always the risk of an appendix rupture which can be life threatening. Read more on the signs of a burst appendix. The abdominal aorta is the largest blood vessel in the body. It runs down the middle of the abdomen. Ballooning of this large artery, known as an abdominal aortic aneurysm (AAA), does not usually cause symptoms like belly button pain. However, an aneurysm can increase the risk of other conditions like an aortic dissection. This is where there is a tear in the wall of the aorta and eventually there can be an abdominal tear. Another important blood vessel in and around the belly button region is the mesenteric artery. Conditions involving this artery, like a narrowing or blockage by a blood clot, means less blood flows to the intestines. If the oxygen supply is cut off for too long, tissue death may occur in portions of the bowel (2). The pain with mesenteric artery disease is also referred to as abdominal angina. Volvulus – twisting of the bowels. Intussusception – telescoping of the bowels (3). Abdominal migraines – repeated episodes of abdominal pain for no known reason. Babies are prone to colic which may be due to trapped gas although the exact cause is unclear. Children of all ages tend to acquire viral diarrheal illnesses more frequently than adults. Rotavirus diarrhea is common in children and often occurs as outbreaks within daycare centers and schools. Belly button pain is very common in pregnancy and most of the time it is not serious. Various changes occur in and around the belly button during pregnancy which may cause sensitivity and pain (4). It may not always occur in the belly button itself but usually around the umbilicus (navel). Most of the time this is due to round ligament pain. However, there are various unique risks with pregnancy and therefore belly button pain should not be ignored if it is worsening, if there is vaginal bleeding or any dizziness or loss of consciousness. One of these risks is an umbilical hernia. It is more likely to occur in severely obese women who are pregnant and with multiple pregnancies. 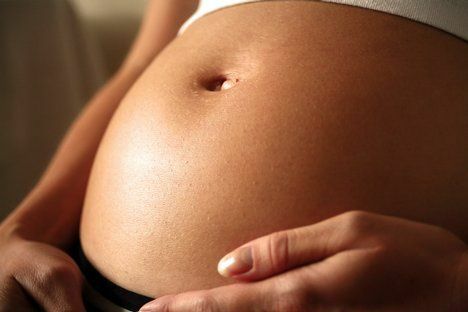 Read more on abdominal pain in pregnancy.